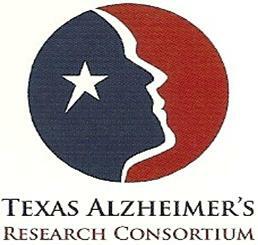 Texas-based researcher Sid O’Bryant, PhD who leads the new Texas Alzheimer’s Research & Care Consortium, is conducting the first ever study on elderly Mexican Americans living in Fort Worth, Texas. This study will be conducted under UNT Health Science Center and will be focusing on identifying the role of mental, physical, cognitive and environmental factors in the maintenance of overall health in elderly Mexican inhabitants of Fort Worth — the fastest growing segment of aging population in Texas. Latest research indicates that Hispanics have a longer life expectancy than U.S. whites or African Americans (an average of 2.7 years and 5.8 years, respectively). However, increased life expectancy in Mexicans is also associated with an increased risk of neurodegenerative diseases like Alzheimer’s disease. Prior research conducted at UNT Health Science Center, Texas suggested that metabolic issues like diabetes and psychological issues like depression can greatly affect the outcome in risk group and the blood profile of Alzheimer’s disease is different in Mexican Hispanics when compared to non- Hispanic whites. Dr. O’Bryant, also the lead investigator of Health & Aging Brain among Latino Elders (HABLE), is hopeful that the study will help in understanding healthy and unhealthy prospects of aging in the elderly population of Mexicans in Texas. The HABLE study will require participants to undergo an interview, cognitive testing, and a medical examination as well as a blood and/or urine sample. The participants will be paid for their time and contribution. It is expected that the study results will help in improving the quality of life and provision of better health services in Mexicans living in Texas.